Negroni Week 2018 will take place from June 4-10, and venue registration is officially open! For the sixth year, bars and restaurants around the world will join forces to celebrate one of the world’s great cocktails while raising money for a wide range of charitable causes. To participate, each venue can sign up at negroniweek.com, chooses from our list of official charity partners, and make an immediate donation to that charity. 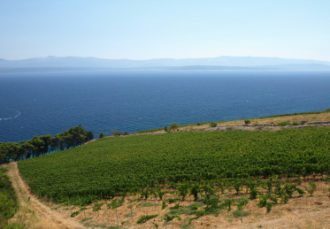 Then they can return during and after Negroni Week to make additional donations to their chosen charity. After Negroni Week is complete, we tally up how much was raised collectively by all of our participating bars, restaurants and partners. Once again, we’re thrilled to have Campari as our Presenting Sponsor, as well as Beefeater Gin, Bols Genever and Cinzano as Supporting Sponsors. New for 2018, we’re also excited to be partnering with Beefeater on a special printed and downloadable Negroni Week Charity Guide. This quick-reference resource highlights our official charity partners and provides information about how they’re each working to make the world better. If you’re an Imbibe subscriber, you received a printed version in your May/June 2018 Issue, but you can also download a digital version by clicking HERE. 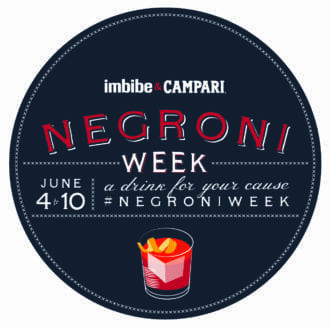 Email us at negroniweek@imbibemagazine.com with any questions or ideas you have about getting involved and keep tabs on the Negroni Week action on Imbibe’s Instagram and Twitter feeds (@imbibe) and by following the #NegroniWeek hashtag. And, of course, be sure to mix yourself a Negroni! Previous articleNegroni Week Aprons Are Here!